The artist’s own depiction of New York cityscape with the Empire State Building in the background. 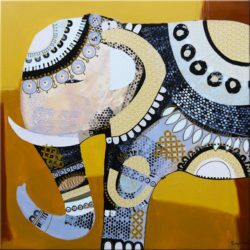 Unique to the artist’s own style and a great collectors piece. Creating cityscapes such as this which is detailed, can take a lot of time and commitment to perfect. 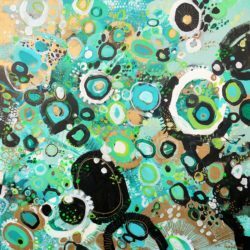 The ideas that are poured onto the canvas have to be what she envisioned otherwise it doesn’t work for her. 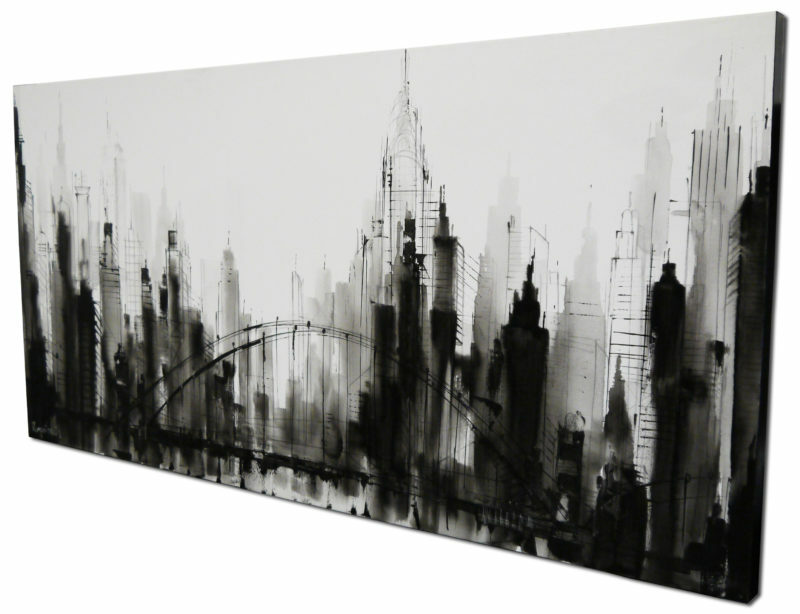 48.5 inches x 24 inches deep edge canvas wall art ready to hang. 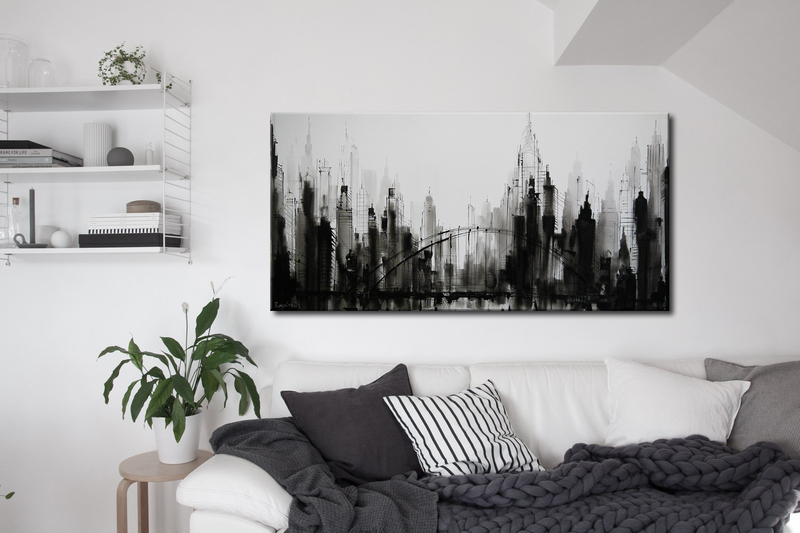 Abstract cityscape painting acrylics. 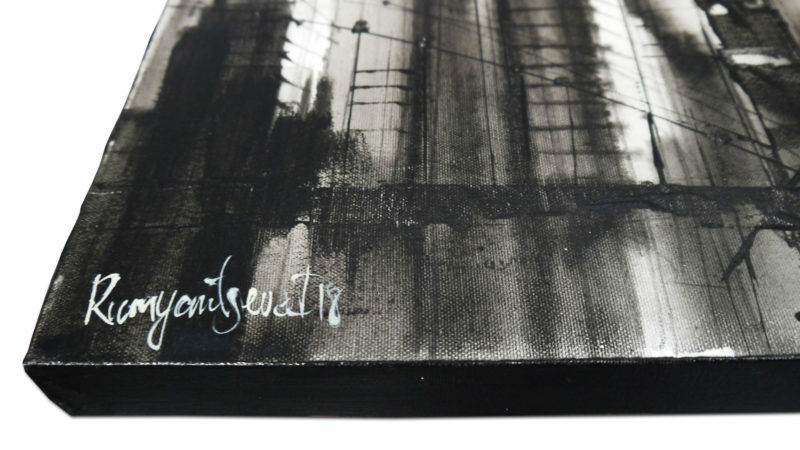 100% cotton canvas stretched over a deep 1.5 inch wooden frame. No further framing required. UK based independent emerging artist living in Manchester since 2009. 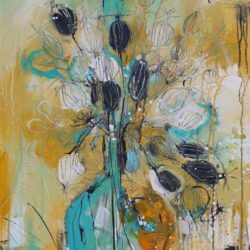 Creating a variety of affordable artwork from abstract art to figurative art, floral art to landscape, seascape, cityscape, animals and wildlife, and still life paintings mainly on canvas using an array of mixed media direct from the artists studio. "Each experience is an inspiration to create something unique." 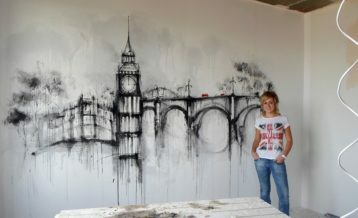 Qualified professional artist with a masters equivalent in St Petersburg in both art and design. "My work has been very well received and I am so humble for all the support. Thank you." Commissions welcome, made to order custom paintings, size, colour and style specific to the customer's requirements. Limited Edition prints also can be made to order size specific to the customers requirements.